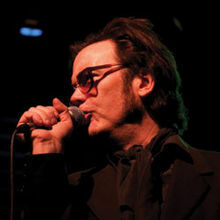 Singer-songwriter Joe Hurley, called “the best singer of vowels in rock since Shane MacGowan” by The Village Voice, and I completely agree, always celebrates St. Paddy’s Day in a big way, and this year is no exception with not one, but two special shows at Joe’s Pub in New York. Special guests include actor, writer and radio host Malachy McCourt, Adam Roth (Denis Leary), soul-legend Tami Lynn and Willie Nile. Hurley’s St. Patrick’s Day extravaganzas have been the highlight of the holiday for years. He has sold out nights at many of New York City’s top venues, including the Highline Ballroom, Webster Hall and the Bowery Ballroom. On March 17 at 11 p.m. Hurley presents “My Wild Irish Roses,” an intimate evening of Irish ballads, singalongs, rabble rousers and rebel songs featuring an all-star cast of the city’s finest performers, including Tony Winner, Michael Cerveris, Laura Cantrell, Annie Golden, Colum McCann, Laura Cantrell, Sam Bisbee, Ed Rogers, Don Fleming, Ellen Foley, Mary Lee Kortes and many more. Joe’s Pub is at 425 Lafayette Street. More information can be found at http://www.joespub.com.